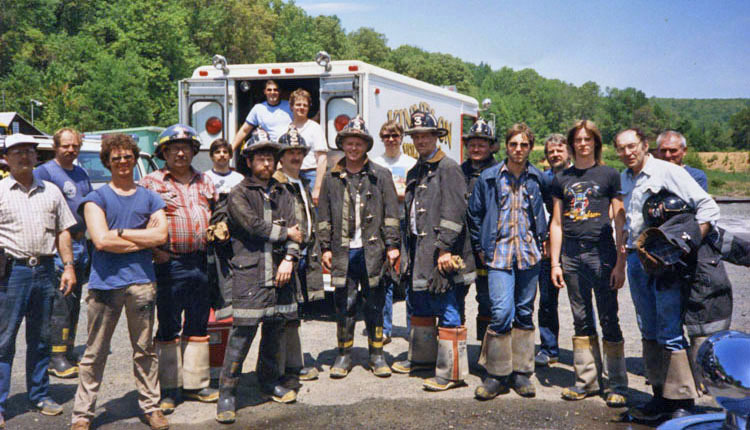 1987 drill at Morris County 1987 fire school at Morris County Fire Academy's burn building. Randy Klecha, Art Sturgeon, Mike Rotondi, Bob Pisani, Joe Pavlak. and chimney kit. It can be seen around town as part of the Kinnelon D.P.W. fleet.